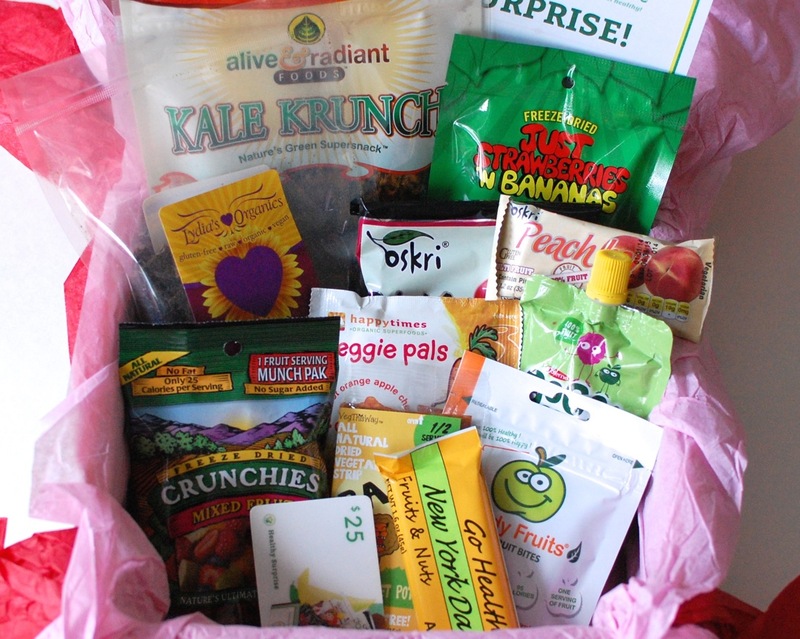 Healthy Surprise is a monthly subscription box for snacks — vegan/gluten-free/soy-free, all-natural-super-fantastic ones! It’s a great box for those with food allergies, vegans (hey, that’s me! ), or anyone who wants to snack a little healthier. Ecocentric Mom recently switched from a monthly box to an every-other-month box. This is the second box I’ve received on their new “schedule”. I’ve been pretty happy with the change, as the boxes are still full of great stuff and now I have more time to use them between shipments. SoapBox Soaps is a small company dedicated to making some pretty big changes. How, you ask? Read on! Everyone needs soap, right? Heck yeah, we do! Well, not only does SoapBox Soaps make awesome, all natural soap products… They also donate fresh water, vitamins, or a bar of soap to a child in need every time one of their products is purchased! Woohoo! Buying something you already need and helping a good cause at the same time? A total win-win! All of SoapBox Soaps‘ products are vegan, gluten-free, and 100% natural. They’re also palm oil free and made right here in the USA. Period for Good is a new “time of the month” box that gives you a chance to “do good” just by buying your monthly essentials. Every month, Period for Good donates 25% of their profits to one of six carefully chosen charities (you decide which charity you’d like your portion to support!). Period for Good boxes are totally customizable. You can choose from tampons, pads, or a mix of both. They have a variety of popular brands, as well as organic. If they don’t carry what you’re looking for, just send them a note to let them know. 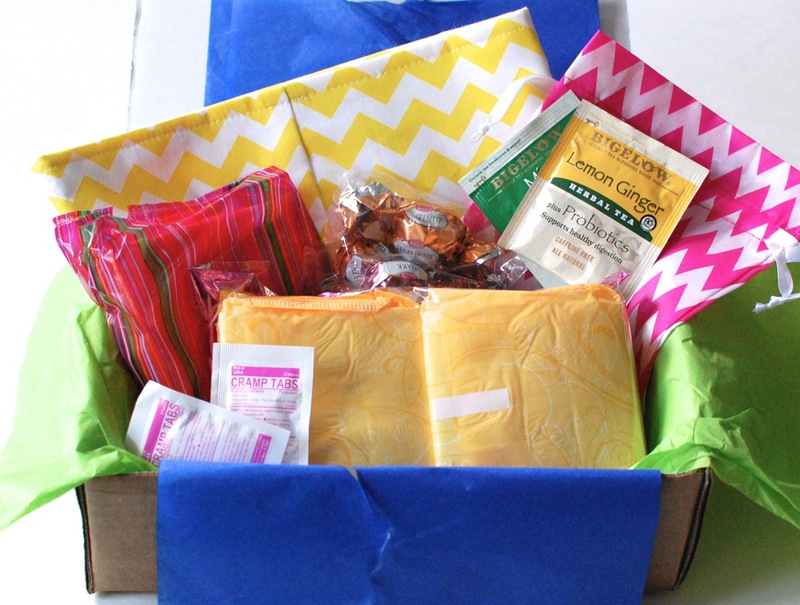 Every box comes with the pads/tampons of your choice, as well as cramp tabs, chocolate, and “something special”. Boxes range from $19 to $29, depending on how many supplies you need. Shipping is always included. 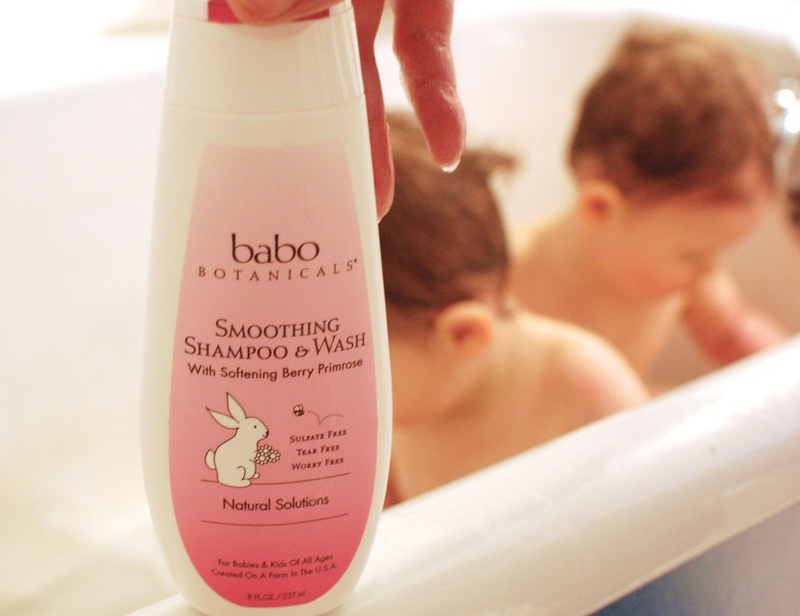 Not only are Babo Botanicals products safe for babies, but they’re pretty gentle on the earth too! All of their formulas are biodegradable and the packaging is totally recyclable. Woo! I’ve never ordered a Fancy Box before, but when I heard that they were offering a $10 Mystery Box, I had to get one! Fancy Box is fun lifestyle box that sends you a wide variety of products ranging from clothing, to household, to food, and everything in between. They also offer celebrity-curated boxes from celebs like Jennifer Love Hewitt, Tyler Florence, Kelly Rowland, Verbal and more! 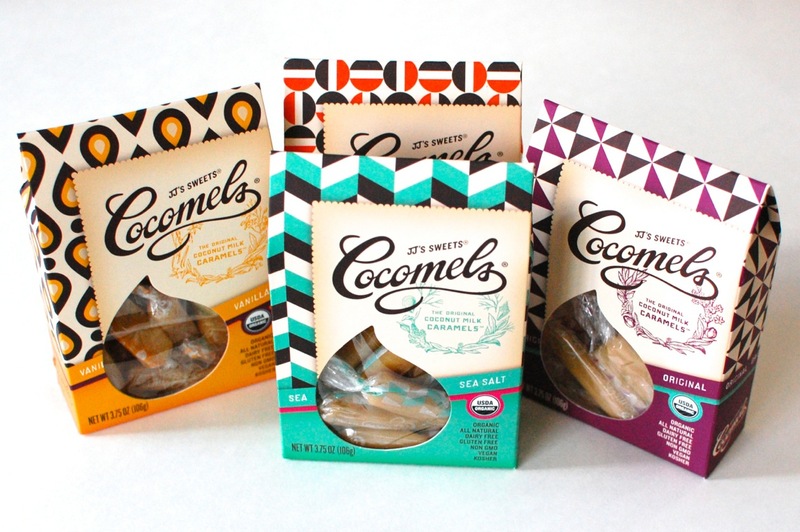 JJ’s Sweets is a candy company dedicated to making delicious treats that are not only made with natural ingredients, but are also both vegan and gluten-free. Their most notable treat? The almighty Cocomel! The Handy Box is a brand new subscription box for the handy (or not so handy) man or woman looking to get a monthly delivery of useful tools and gadgets. Whether you’re just starting out and need a few basic tools for small everyday repairs around your apartment, or you’re already a homeowner and could use some extra additions to your overflowing toolbox, The Handy Box has what you need. Every box will include around 4 to 6 items, ranging from the most basic of tools, to fun gadgets, to everyday essentials like batteries. The Handy Box is $24.95/month (shipping included) and promises to contain at least $40 in products! I See Me! is a retail site that offers children’s books that are not only beautifully illustrated, but are also personalized with your child’s name, birthday, and more! How cool is that? In addition to books, I See Me! also offers a wide range of fun, gift-worthy items — growth charts, coloring books, placemats, stickers, lunchboxes — all personalized for your little one! Confession time! When I named my “2 little rosebuds”, I (kinda guiltily) knew I was giving one of them a bit of a disadvantage, name-wise. Now, Chloe is a pretty common name, so she’ll be alright… But Everly? Yeaaah… that’s a name I’m not gonna find on a personalized… well, anything… anytime soon. That said, I was more than happy when I See Me! offered us a personalized book for twins. Although she’s too young to appreciate it right now, I know Everly is going to LOVE seeing her name in print soon enough! Once again, I got two different Citrus Lane boxes this month. My mom signed up when they offered new members their first box for free and (lucky for me) forgot to cancel after she received it… So she ended up getting one this month too. Woo! Citrus Lane is a monthly subscription for babies/kids aged newborn-5. It’s $29/month (cheaper with longer subs) and includes a nice assortment of toys, books, snacks, toiletries, etc. Sometimes they even include a gift for mom. 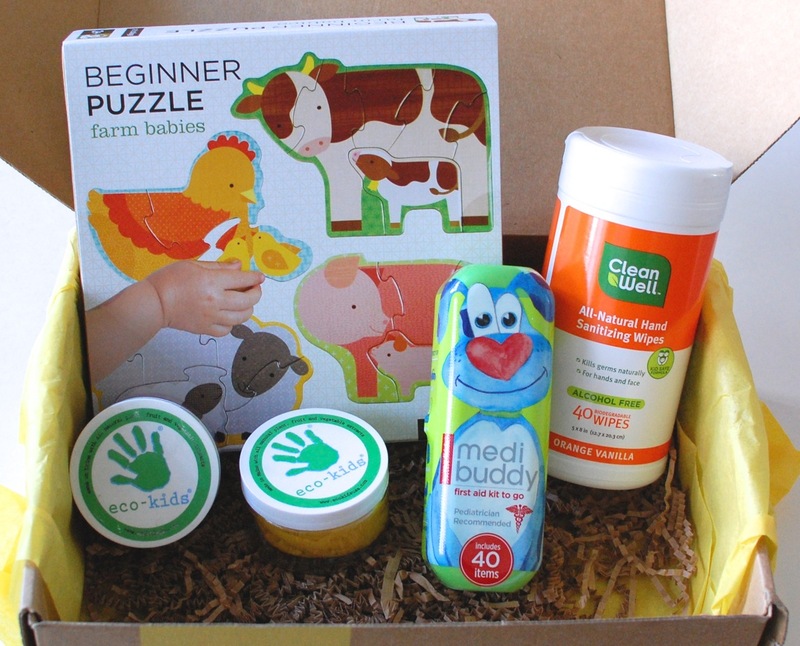 This month’s box included products to “help your baby learn and play”, along with a few practical/functional items. 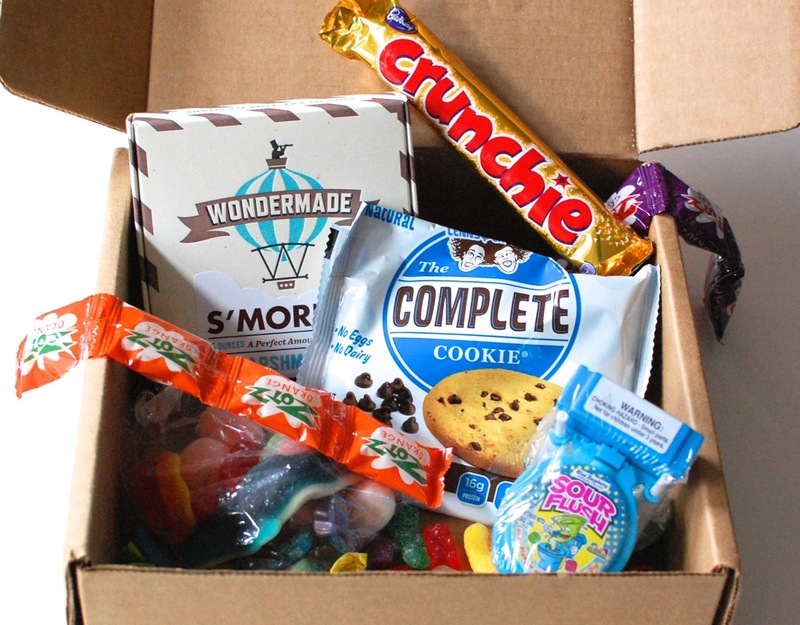 Munch Box is a monthly subscription from Candy Kid that delivers an assortment of sweets right to your door. They include a fun mix of candies that can fit into any of the following categories: funny, foreign, healthy, classic, and new. In other words, there’s quite the assortment — something for everyone! Woo! 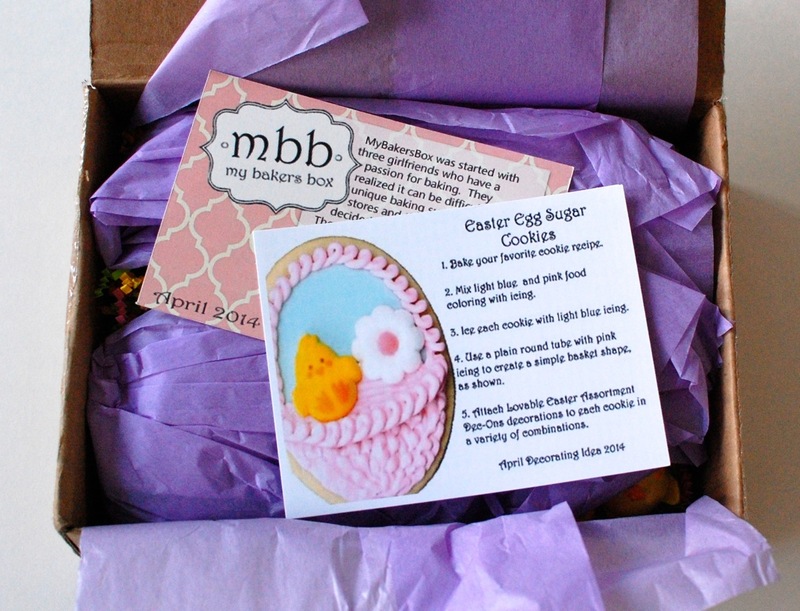 My Bakers Box is a new subscription box that sends you a fun selection of baking-related goodies every month. Items can range from cookie cutters, to cupcake liners, edible images, sprinkles, and more! Boxes can also include tips for using the items, as well as a recipe or two. The products are usually centered around a specific theme or time of year (holidays, seasons, etc). bluum is a monthly subscription box for babies & kiddos from birth through age 5. 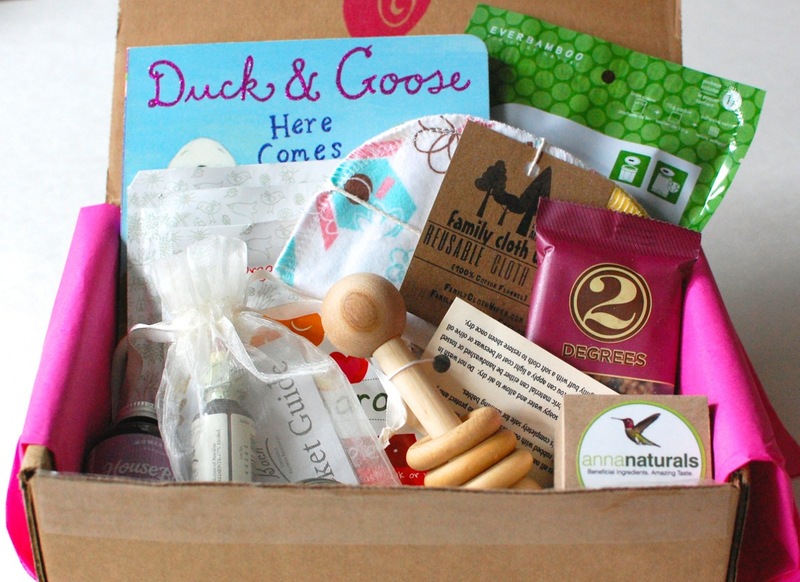 Every box will contain 5 or more products that are responsibly sourced, eco-friendly and often organic. There used to be monthly “themes”, but they’ve recently moved away from that and instead curate each box based upon your child’s current age in months.